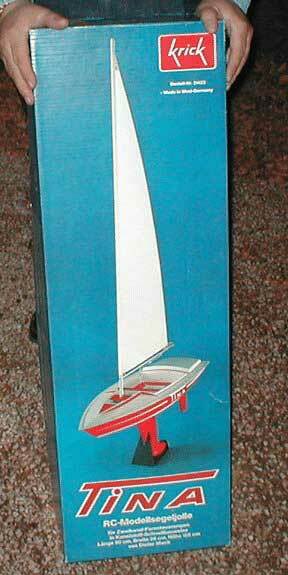 A nice looking boat, John just never had time to assemble it. I looked at it and it looks a lot like the RC Laser. 35" length, 11" beam and a 62 "mast. Futaba radio control unit and servos included.